Five things you need to eat and drink in January. Try the chirashi at Fremont Bowl (top left). 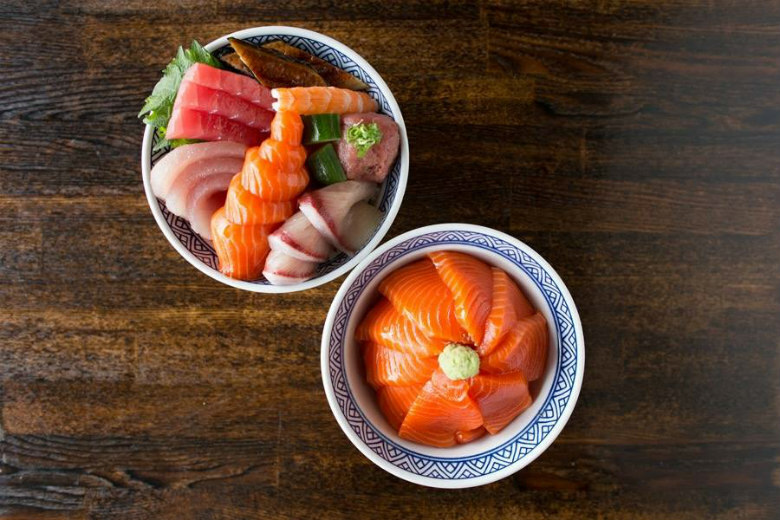 I’m so tired of poke, and yet somehow chirashi—essentially a bowl of deconstructed sushi—at the new, and already incredibly popular, Japanese donburi spot called Fremont Bowl feels fresh and different and utterly addictive. It’s a rainbow-hued bowl with tuna, unagi, shrimp, salmon, albacore, yellowtail and masago; it feels healthy and bright and I’ve been twice in two weeks and don’t know how to stop. Then drive to Bellevue for dessert. Life is about balance, right? So even if you’re cleansing or Whole 30-ing or whatever, chocolate is a permissible treat—at least in my book. And because caffeine and chocolate were made for one another, you should go check out the Dote Coffee Bar in the new Lincoln Square expansion, where chef Ewald Notter is working some serious Willy Wonka chocolate magic. There’s a new biz called Nibble and Squeak that’s a sort of networking event for restaurant-loving families—they promise to “gather like-minded, empathetic and food-loving parents to share a no-stress meal around the table, together.” For those of us who love to eat out but can’t always hire a sitter, that sounds pretty awesome. The inaugural Seattle dinner will be held at Goldfinch Tavern on Jan. 14; tickets are $105 ($125 with wine) for adults and $12 for kids, 2 and younger eat free. Dinner starts at 4:30 because… obviously. And look, I know people have a lot of feelings about whether or not tiny humans should be allowed in restaurants that aren’t Chuck E. Cheese’s, but I think the more we can do to raise kids who love to eat good food—and tip their servers—the better. And leave the tots behind for adult-only Belgian beer drinking. Jan. 27 marks the ninth annual Belgian Fest at Seattle Center, where folks have the opportunity to try 100-plus lambics, saisons and tripels made by Washington breweries (with Belgian yeast). Tickets are $37. Bring a designated driver or take a cab—some of these bad boys are notorious for having a high ABV. Score a good burger… for February.